Kuber Jewellery has you covered should you want Indian or Western statement jewellery, or want to adorn yourself with literal art. 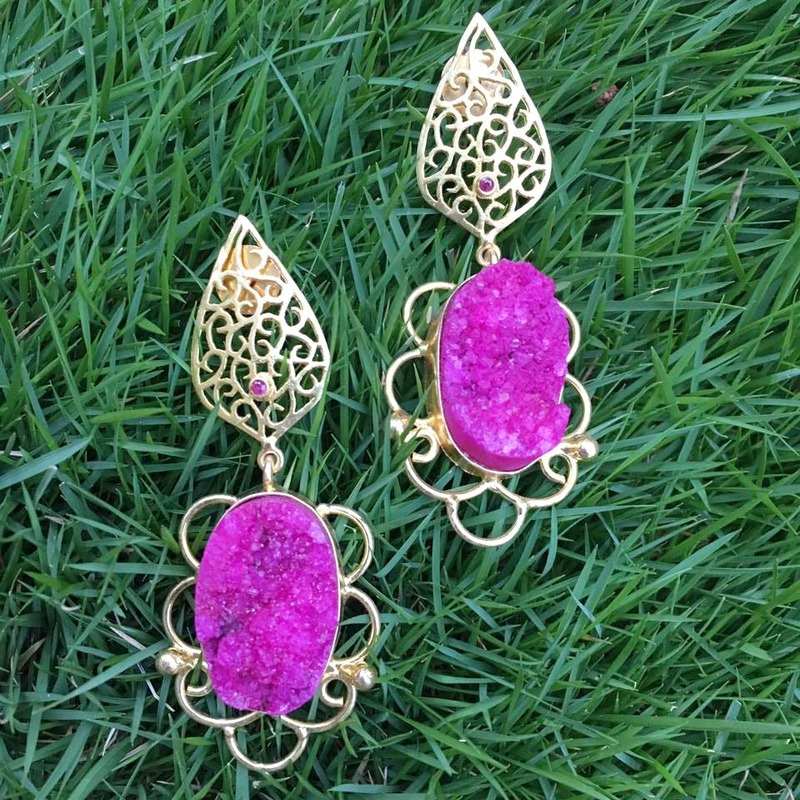 Looking for jewellery that’s exclusive as it’s intricate, check out Kuber Jewellery. With a collection (hand crafted we’re told) in a myriad of styles and colours, you can be sure that they have something for any aesthetic. Using silver (and other metals in other cases), semi precious stones, pearls, enamel and even hand painting, they design and work with artisans of different styles to bring you the finished piece. If we really had to categorise them, we’d put them in the Indo-Western occasion wear category. For going out looks, they have chunky colourful studs, chandelier earrings inlaid with semi precious stones in both silver and gold (finish), filigree earrings that dangle with metal or drops of colour through gems. Pair that with one of their statement necklaces or multi-stringed bead necklaces with side pendants for that elegant brunch look. Not a fan of beaded chains? They also do chunky pendants (check out the one with an actual miniature painting on it! ), imitation jewellery (antique finish and otherwise), and kundan sets for more ethnic events. Since they’re all hand made (and mostly single pieces of each style), the cost depends on the style, material used, and level of detail. You can place the order by reaching out on social media or calling them. They only operate on social media, and take a while to respond to email queries.